I've always been a Linksys or NetGear router person. I loved the legendary Linksys WRT54G and ran DD-WRT on it for years. A while back I updated my router to the Linksys WRT1900AC. This router was supposed to be the second coming of the WRT54G and promised enthusiastic support for alternate firmware. For about a year I ran the WRT1900AC with the stock firmware as there was a bit of controversy as to what that support would look like. Fast-forward a bit and it appears that Linksys and Marvel have been working together to solve some technical issues and have reached out to the OpenWRT and DD-WRT folks but unfortunately there is still no release place for DD-WRT for the WRT1900AC. I am tired of waiting and some recent instability in the stock firmware has got me shopping around. I did some research and decided on the TP-Link AC3200 (Archer C3200). Now, before you say it, I will. This is a prosumer router. It's not cheap. But so far, it's been brilliant. I've tired $50 routers and they tip over with what I throw at them. I've got a minimum of about 20 devices on the network at a time, and often as many as 35-45. 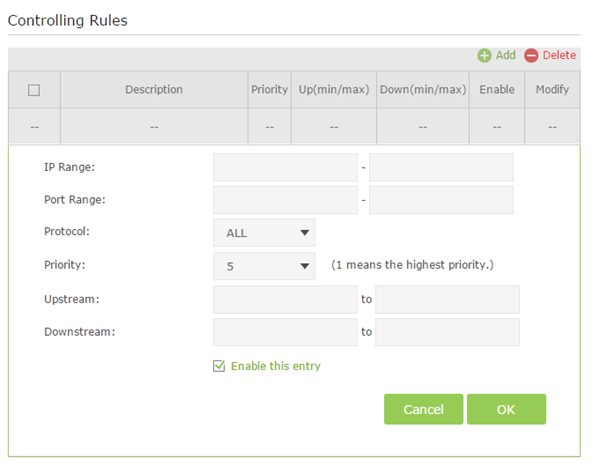 I want to be able to manage them differently, apply QoS (Quality of Service) rules, as well as segment my network. However, I am not a network engineer and I don't feel like being one. I've also had issues with range in the past but I don't feel like having two routers and one SSID. So far, it appears that this TP-Link Archer C3200 router can handle everything I throw at it. 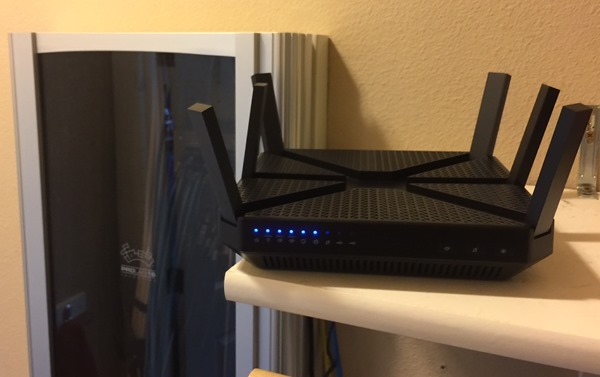 First, let me say that this router looks like a UFO. It's a very dramatic design, but it's for a functional reason. Those are six folding antennas on the top. Installation in my home took about 30 min from the moment it left the box until the whole house and every device was set up. I personally found the web interface to be simpler and more organized than any other router I've ever used, and I've used them all. In this screenshot you can see that there are currently 18 devices connected and there are three wifi networks. I really like this feature. I've setup my own 5GHz SSID for my office, while the family gets their own 2.4GHz WiFi Network, and Netflix/Streaming/XBox devices get their own 5GHz SSID. It's nicely compartmentalized. Even more, I could optionally turn on one or more Guest Networks when folks visit from out of town. This gives guests internet, but keeps them off from seeing internal devices. If the idea of three SSIDs is too much for you, they also have a feature called "Smart Connect" which basically collapses a 2GHz and two 5GHz SSIDs and associated channels into a single Smart SSID that will abstract 802.11bgn across many channels. You get one SSID (Wireless Network Name) and the router handles the rest, automatically putting your devices on the right network given their capabilities. There's also great Parental Controls built in, where you can set a Time Schedule per device. For example, you could make it so your child's iPad could only access the internet during certain times of the day. You would need turn off iOS Mac Address Randomization for this to work, I believe. This TP-Link AC3200 (Archer C3200 also has some light NAS (Network Attached Storage) features that allow you to access disks via FTP, DLNA, or SMB (meaning you can talk to it via \\ROUTER\share for example). You could also even expose a disk over FTP externally if you wanted to. The router can also be a print server and make any USB printer a wireless/network attached printer which could be helpful if you've got a home office. For the tech enthusiast/prosumer user the only nit I would say could use improvement is the Bandwidth Control (QoS) panel. It could be a little friendlier. For example, I can certainly figure out the IP Range and Port Range for Xbox Live or Netflix and set the Bandwidth rules, but since those are already pretty well understood it would be nice if there was just a dropdown or set of smart defaults. For example, we would ALL want to be able to check a box that says "make sure Netflix doesn't get slow when my spouse checks email." This dialog could be simpler. Aside: My spouse asked me why Netflix gets slow sometimes when other people are streaming or pushing the network. I said that it's the same reason that the shower water changes temperature when someone flushes the toilet elsewhere in the house. So far I've been VERY happy with this router. Set up was a breeze, perf has been fantastic, and there hasn't been a single hiccup. I'll report back later. Do you have this router? Or do you recommend another router? Sound off in the comments below. Sponsor: Thanks to my friends and Infragistics for sponsoring the feed this week. Responsive web design on any browser, any platform and any device with Infragistics jQuery/HTML5 Controls. Get super-charged performance with the world’s fastest HTML5 Grid - Download for free now! I don't have such sophisticated requirements (especially, since most of my devices are wired), so I have been using a (much) cheaper WDR3600 for the last couple years. It has been rock-solid so far. I think I had to reboot it once or twice (and I'm not sure if it was needed). I recently bought a $10 TP-link AP/extender/etc, and it's working nicely, too. Maybe TP-LINK is not the most popular maker, but their devices work pretty well. Mike - Have you read the reviews for that router? They have been hovering around 3 stars on Amazon. The 1 stars are BRUTAL. I just replaced a pair of failing Netgear WNDR3700s running DD-WRT (radios were going south- a known issue). I wanted a single device if possible. I waffled between this one and the Asus RT-AC87- ended up going with the Asus, mainly because the RT-N66 was such a champ (I did "set it and forget it" for several family/friends). So far, so good, though I definitely noticed a number of UI bugs in the stock firmware during setup as an AP. I've since moved to the Merlin beta firmware from July, and it's been rock-solid. I can max out my FIOS 50/20 anywhere in the (large) house with all my recent devices, and I've been able to get 500+Mbit/s sustained file copies between a wireless device and the NAS from pretty far away. I'm pretty happy with it, but your review definitely gives me some pause if you're that happy with the bone-stock firmware. The route of choice for my family is the Asus RT-N66U and the main requirements I had were pretty simple; performance and stability. Previous routers such as the d-link and netgear all had intermittent network connection drops. The user interface is not to bad either. It seems pretty easy to use. I have been really happy with my Asus RT-N66U as well. Its offered a level of stability I do not believe I have seen before from a home router. However, as we have added repeaters and more demand, I think we might have finally outgrown it. I am happily using TP-LINK AC1750 for a while. TP-Link routers pretty much always rank top in The Wirecutter reviews. I've been using the Netgear WDNR4000 for years. I have 2 of them (one for each floor) and I have 2 Edimax extenders. I have 2 servers, 2 workstations, 2 laptops, 2 tablets, a firewall, an Xbox One and usually a small handful of IoT devices. I have no issues. Everything works perfectly and has for years. The worst of it is if I make a network change that requires a reconfiguration, but I don't think there is a reasonable solution for that scenario. It is nice to be able to walk anywhere in the house or on the lot and get great signal. Wow, what a timely review. I have the same Linksys WRT1900AC and having issues with it. I started looking for a replacement. TP-Link has been at the top of my list. The Archer C7 and C9 but this one looks like a great model to look at. I really like the ability to split up the networks. I installed a Asus RT-AC68U recently which has been excellent. Only three antennas though. I have an Asus RT-AC66U that I bought nearly three years ago (10/2012). It has served me well, but I have to admit that I was never able to get the printer sharing to work. Early bugs prevented me from even attempting to host file services on it. It certainly doesn't seem to be as well-featured as the TP-Link you reviewed, but it does push a signal a long way. I do have 28 clients on my network (just looked - wow). One thing that it supports, which I've never used is the ability for it to use a 3g/4g dongle or Android device as a modem. If you have poor spotty internet and a good wireless plan, this may be helpful. My TWC has been solid, so no worries there. The RT-AC66U can also support 3 SSIDs for guests, but only one each 2.4GHz and 5GHz SSID for my internal network. I like the idea of being able to segment my streaming media devices from the rest of the network. I may have to give that a try. The worst part for me has been the parental controls. The problem I had is that if my kid had something running (Ventrilo, online game, etc. ), the connection wouldn't get shutdown. Kind of a bummer, if you ask me. That feature isn't important to me anymore, but you might want to check it out on the TP-Link. The Asus runs pretty hot, and I've seen recommendations to drop the power down, but I've not had issues in 3 years. Lastly, even though I've had this for almost 3 years, Asus last released a firmware update in March, which is pretty good, IMO, for a product that was released around June 2012. Yes, I'm still using stock firmware. WTH is wrong with me!!! FWIW, this Asus replaced a crappy Linksys E4200, which completely soured me on that brand. I may have to check out this TP-Link a bit more. Thanks for the review. I think for the average person the C9 AC1900 would probably be fine. Having said that, the better-performing (older!) RT-AC66U goes for around $120-140, which is about what I paid for the TP-LINK. I'm waiting for the Synology RT1900ac. Should be released in the next month or two. Search YouTube and you'll find some demos of the UI. Very similar to the awesome Synology DiskStation NAS UI, has an app store, an SD card slot, USB slot, and what appears to be very fine tuned parental and bandwidth controls. Who knows, perhaps PCLoadletter's Crashplan app/mod might even work on it, which would be incredible for having another backup destination. Nice article. Can I use multiple networks in Linksys router also? Mikrotik router with RouterOS. It's need a more advanced approach, but you can do wonders. Can you configure DNS overrides, enabling google to cname to forcesafesearch.google.com for curious youngsters? Most routers don't have a web UI for DNSMasq, so the config gets lost and forgotten. Nice article. TP-LINK AC3200 router really powerfull. I've been running RT-N66W with most awesome Merlin firmware for couple of years now. I have over 30 clients attached to it and it never skips a beat. I use Merlin OpenVpn server (cert auth) a lot and have never had any issues connecting! I really cant see myself being any more satisfied with a freaken router. RT-N66W / Merlin is a champ. Any reason that puts you off from OpenWRT? I've been running it on my WD N750 for a few months (since I got it) and I've been 100% happy with it. In fact, I have my parents set up with the same. The Parental controls features are what I am interested in the most. I have tried 3 different routers in the past two years, but the parental controls options were lacking or just didn't work right. I would be interested in comparison between TP Link Archer C3200 and Asus RT-AC3200. Which one performs better and what's more important which one is more stable in day-to-day use. Currently we do have a very cheap Asus RT-N12 D1 at home but the stability is really subpar. We must restart it quite often, sometimes even more than once a day. I suspect the culprit is multicast streaming because when turned off the router behaves normally. Another vote for the Asus RT-N66U here. Been going strong for almost 3 years, although it does seem to be getting weaker lately. Every router I've owned, including *many* in the $180+ range, has suffered the same fate - after about a year or so the signal gets weak, connections start dropping off, and reboots become the norm. Clearly these devices have some sort of planned obsolescence in the form of cheap internal components. The only routers I've owned with a significant lifetime were the WRT54G and now the RT-N66U. Please do a follow up in a year to 18 months. Does it support VPN per Wifi channel? Say I have Channel A and B, everyone on B gets routed over the VPN, and the ones on A get direct connection? I bought another TP-Link router -- Archer D7 -- around a week ago. I mistakenly assumed that I don't see any comments on security it is OK. What a surprise. I guess for educated hacker the router is wide open (no any physical way to limit changes done to router -- either for firmware or settings), but for regular user checking if anything was hacked is not easy. With 9-year old USR router 'wget' was enough, with Archer D7 'wget' requires a lot more hoops to jump through, but in the end all you can get is static html web page with no information about router (status, settings). So either you spend more time and find out way how to check if the router was hacked or you have to check it manually using web browser (like daily, meaning every day you have to compare data displayed on the monitor -- I will die first than do such mundane tasks). Judging from your screenshot you have basically the same firmware, meaning the same problem (unless you wholeheartedly trust TP-Link ;-D). And where I live (the number of available access points is reaching 12) connection is on par with old router, so saying I am not happy with purchase... well :-) Pity I cannot return it. 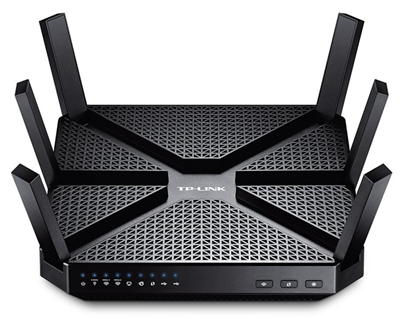 I bought a TP-Link AC1750 (5G capable) router last year and it has been very reliable. I don't need to power it off. It keeps my ADSL connection up and running and I can stream 1080p from Plex. So I can imagine that the AC3200 is even better and the web interface looks a lot nicer than the version I am looking. Thanks for the review Scott. Thanks Scott (and everyone in the comments). I'm in the process of replacing a WRT54GS in my house, and have been looking for something. Parental controls sounds great... and the multiple SSIDs too. Anyone know if I can put a wireless printer on one "ssid" and access it from another? I have an AVM Fritz!Box 7390 that connects to the internet and also provides telephone access for the household (by providing a DECT and an ISDN interface). It might not be the most fancy or feature complete router, but AVM has one of the best support for a product that I know of. My box is already four years old but it gets constant updates and security fixes. So far there was only one major security incident and AVM took care of that within four weeks while keeping the public informed about the issue. They also provided a workaround that fixed the issue in the meantime. Eric - Yes, the SSIDs are all on the same subnet, so you as long as you're not on a GUEST network, you can share resources. Andrew - Honestly, and as I said, this is a nit, I found the UI confusing and not super friendly. That was basically it. Actually, I got T-Mobile to send me a free Asus router: it's a rebranded ASUS RT‑AC68U. I just told them that I need it for WiFi calling because their signal isn't very strong inside my house (which is true). I previously had an Asus router and I like the interface but the file sharing didn't work very reliably, so I switched to an old Asus eeePC Netbook and upgraded it to Windows 10. 24/7 file sharing for only 10W. The RT-AC68U is VERY powerful, even working in a mirrored room which normally causes havoc with WiFi. It has parental and QOS features, but I haven't used them. But I really can't complain for free. Been using an Asus RT-AC68U for over a year and it's been 100% rock solid. Recommended it to four friends who've all had the same results including one guy who suddenly could get signals all over his house where dead spots existed before. I only use Ubiquiti gear. Above Cisco-grade at a fraction of the cost. To all those with ASUS routers: ASUS makes some great hardware, but you should absolutely use ASUSWRT-Merlin for the firmware... it fixes some glaring security flaws ASUS hasn't addressed, adds some features, and is otherwise nearly identical to the stock firmware's UI. Thanks for the tip. Ended up returning the EA8500. Linksys actually gave me a manufacturer warranty beyond the 30 days at Best Buy which was awesome on their part. Back to the Wrt1900ac stock firmware for now. I gave up on consumer routers and went with a Ubiquti EdgeRouter PoE and two Xclaim Xi-3 802.11ac APs. Get near raw speed out of the router, and the wireless is solidly reliable across four floors. The router was very reasonably priced, the APs were more but the “it just works” factor is quite high. This kind of design seems to be a trend. If it strengthens the wifi, why not? After Comcast's latest speed upgrade, I found myself needing a new router after running a WNR3500 with Tomato for years (can you say never a problem?). I bought the Netgear Nighthawk R7000. Range was fantastic as was speed. But the firmware!.... Completely horrible. Beyond words even. Luckily, there's a DD-WRT build that works great. After flashing it, I've got no complaints (except for the super crappy firmware that Netgear keeps putting on it's products). 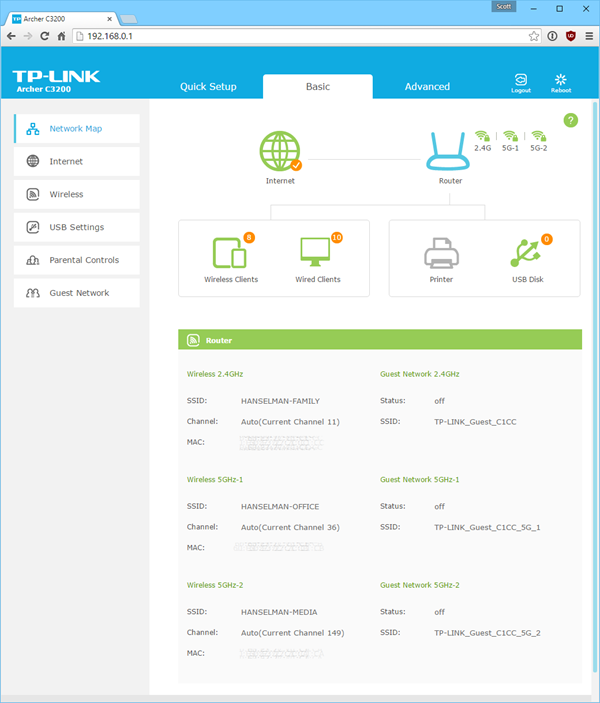 The TPLink router, looks like it has a decent UI. I've used a few other TPLink products and their firmware is usually pretty decent. After our brief twitter conversation about me buying WRT1900AC the same day as this review was published I returned and ordered this router instead. Since I was running something much older and ... embarrassing, this router has been a huge upgrade for me. Wireless covers my house fine and the speeds are pretty great. I did run into one issue though. On their latest firmware and using their built in DHCP server, the router was specifying the primary and secondary DNS as the router's address and 0.0.0.0 respectively. I didn't notice this until the second day of trying to figure out why everything but my microcell was working fine. I updated the config to explicitly specify the router as both primary and secondary DNS and everything works fine now. I opened a ticket with the TP-Link guys and let them know in case it is a bug they can fix in an upcoming firmware. Thanks again for the review and I look forward for more. I have purchased WRT1900AC after your original review and to be honest had nothing but trouble with it. About a month ago I have started to searching for replacement and purchased tp-link ac3200... I am really happy with it and had no major issues. Nice review. I'm tech/gadget freak... I have ton of devices, several miles of different (network, audio, hdmi, usb) cables across my home, and i'm wondering, how and why, in the name of everything that is holy, do You have 30-40 devices connected to HOME router at same time? I've got a ASUS RT-AC68U, It only has three antennas but the range of features on it is staggering. Its recently dropped in price also. I paid £150.00 for it a few months ago but its a great bit of kit. It has a lot of the features that you've mentioned here and has a great web interface. Again it was a breeze to install and replaced the absolute rubbish my cable provider gave me (which now functions as a cable "modem" only and plugs into the router). Theres nothing bad to say about the AC68U. Yeah, as someone mentioned above I am also giving up on consumer grade wifi/networking. I went a bit overboard and got an EdgeRouter 8 Pro, but for most an ERLite 3 would be plenty. Then you can take your pick of access point. I'm going with a ceiling mounted PoE Unifi UAC-AC-Pro access point powered by an injector. I happen to have a spare cat6 cable running in the ceiling right where I want to mount it in the middle of my first floor. The access points are only like $90-$150 each and are near-enterprise grade (or low-end enterprise grade). I used to be using a crappy 2Wire free router from my ISP and I could never get anything more than 2 bars from my bedroom. I'm living in a 87sqm apartment btw. So I got pissed and went in search for a powerful router and end up getting the ASUS RT-AC3200 (I have to admit I bought it because of how badass it looks with 6 antennas). With that, I get full signal every where in my home. Since that day, I've learnt to trust routers with huge numbers of antennas. So I believe the TP-Link AC3200 will work like a gem too! A lot of home-use routers can (bizarrely) only go up to 20-something individual DHCP clients and I wonder if this one is any better in that regard. I'm in the process of looking for a routers but one feature seems to be missing -- the ability to add more SSIDs to create isolated networks. I generally keep an open network for guests and things since things can't negotiate security screens. While I can change the name of the SSID there doesn't seem to be the ability to add more SSIDs. Did I miss something in the documentation? Note that slowing Netflix is like NOT due to many users because 2 Mbps stream is not much -- perhaps it is due to buffer bloat or some other attempt to manage networks as per classic telecommunications network thus breaking the ability to manage connectivity from the edge. Hi Scott, just wondering after nearly 3 months in how you are getting on with this, any issues that would make you think twice about getting this a second time around? It soon to be released in the UK and was thinking of getting one my self to meet the needs of a demanding internet family. This is something really cool. I do think that these kind of designs can set the trend for sure! !